Missed the previous chapters? Follow the links to read up on 1991/92 and 1993. Team17’s second ever sequel after Alien Breed II, Body Blows Galactic was created with one goal, according to artist Danny Burke… “To do something different!” And so Body Blows blasted into space, leaving most of its earthly fighters behind and replacing them with interstellar pugilists like robots and dinosaurs. Danny and Junior (named after the game’s creators) still made the cut, but everything else was different, including six planet-themed backgrounds. In retrospect, Body Blows Galactic was a great differentiator. Iterative fighting games were all the rage back then, with expanded versions of popular fighters increasing the number of backgrounds and the character roster, but Galactic also did this with a fresh new theme that was bolder than the average update. Anyone who bought a copy of Body Blows Galactic in 1994 may have noticed a sticker on the box, saying “Limited Offer – Free Game Enclosed”. Those lucky enough to pick-up this first print of the fighting game sequel, also found another disk inside… Apache! Apache was also given away with certain other Team17 releases, such as Alien Breed II, but never did receive a standalone release and remains one of the most obscure and forgotten games in T17 history. Good luck finding it! If you’ve read about Alien Breed Special Edition or Project X Special Edition then you know the score by now. Our Amiga Special Editions took fan-favourite Team17 games, re-released them at a budget price, while also adding new content and improvements in response to fan feedback. Gone was the opening forest section of the game and its pesky attack dogs, and in was a new opening mission set in a missile silo. This new opening to the game, really made use of the main character’s ninja-like abilities, with plenty of walls and ceilings for players to clamber up and hang from. 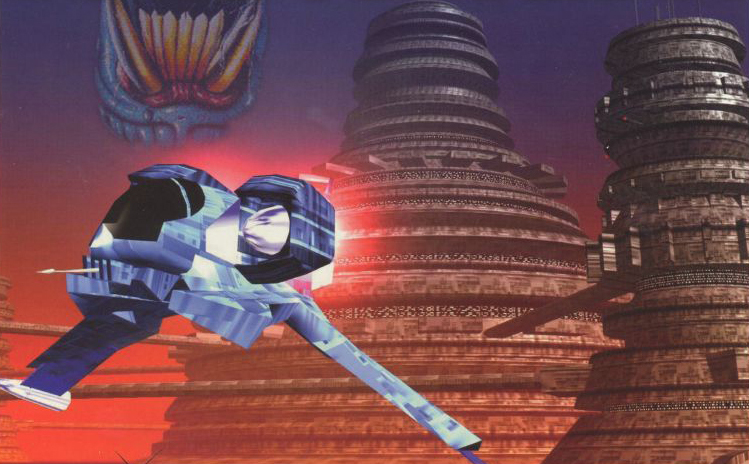 Gone too was the main character’s boomerang weapon, instead replaced by a cool cybernetic arm that fired a laser. Most importantly, the large levels of the original game were broken up into much more manageable and smaller chapters, so players could get on with testing their skill, rather than their patience! Would you believe it if we told you that a very simple, budget pool game is actually one of the most popular games in our back catalogue and that we regularly receive requests for a remake? Well, it’s true! Arcade Pool was simple even by the standards of 1994, but sometimes it’s the simple games that are the most fun! 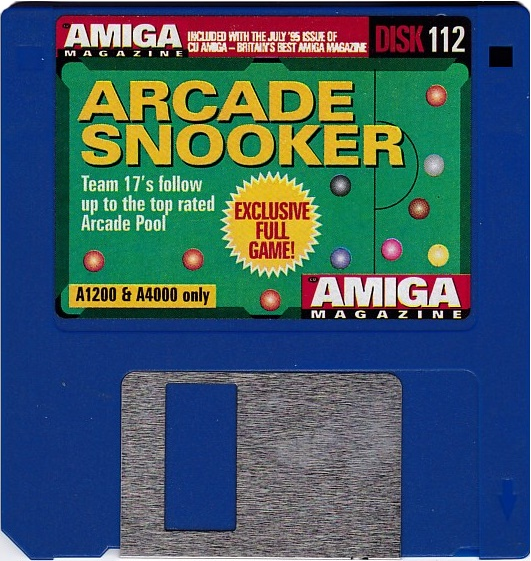 “Back in the early Nineties I felt that on Amiga there was no pool game like those previously available on Commodore 64, so I decided to do something similar,” says Mario Savoia, who handled both the programming and art on Arcade Pool. We totally meant to do that! Though Savoia created the gameplay and graphics single-handedly, Team17’s star composer Allister Brimble, did chip in to provide the atmospheric sounds of Arcade Pool. “I created all of the sounds at my local pub in the middle of Devon. I used a tie pin microphone, as used by newsreaders and attached it with Blue Tack to the pockets,” says Brimble, proving that some aspects of the videogame creation process can be equal parts high tech and DIY ingenuity! So for the third and final entry in the series, we went CD-only, with Ultimate Body Blows destined to be Team17’s only Amiga game to remain exclusive to Commodore’s Amiga CD32 games console. The move to CD allowed the team to bring all 22 playable characters together in one game and made it possible to add in some amazing new background graphics that never would have fit on a floppy disk! This “best of” remix went down a storm with reviewers. Amiga Power gave the game 86%, calling it “The best body Blows by a mile” while Amiga Format went one better (or four, depending on how you look at it) with a 90% review and the incredible quote: “Amiga’s best beat-em-up”. Of Team17’s first 19 releases, all were either developed in-house or especially for Team17 as part of a publishing deal, but release 20 was a little different. This popular 2D shoot-em-up was originally published by Germany’s own Blue Byte Software in 1992 and subsequently licensed to Team17 for the budget re-release two years later. Why would we pick up someone else’s game? Because it was VERY good! Universally praised by critics on both its original and budget release, Apidya very much fit the “arcade on the Amiga” style we were aiming for in those early days. 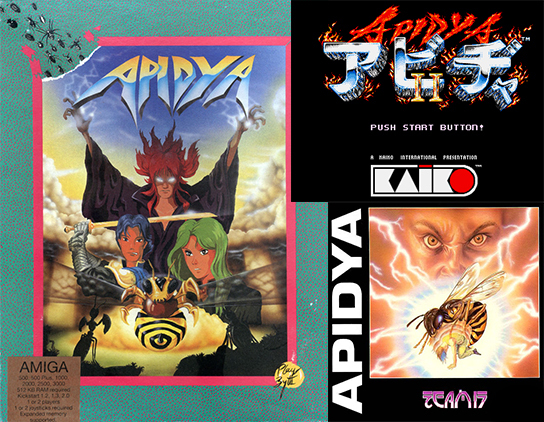 The original Blue Byte box art for Apidya, the in-game logo and Team17’s re-release packaging. Finnish developer Housemarque is very well known these days for their super high quality, arcade-inspired PlayStation games such as Nex Machina, Resogun and, er, Super Stardust HD. But did you know they originally got their start on Amiga? Back then Housemarque was actually two pre-merger studios: Terramarque, developer of acclaimed fighting game and Body Blows rival Elfmania, and Bloodhouse, creators of arcade shoot-em-up Stardust. Though the original Stardust was self-published by Bloodhouse, the developers chose to go with Team17 for the sequel, which added stunning pre-rendered graphics to gameplay very much inspired by Atari’s Asteroids arcade game. 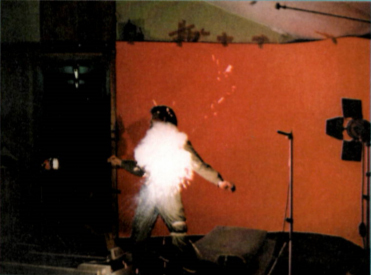 Showered with review scores of around 80-95%, Super Stardust was a bit of a corker. If you’d like to know how Housemarque cut their teeth and became the arcade masters they are today then look no further than Super Stardust! The final Alien Breed to be released in the traditional 2D style, Tower Assault is arguably the defining game in the series. The original development team went all-out, building a non-linear adventure that right from the off allowed players to wander in any direction and enter various alien-infested towers, creating more than 250 different ways to complete the game! “Alien Breed was already a great franchise, and Tower Assault was a fabulous addition to it; a superb game, with state-of-the-art graphics and fabulous level design, just fabulously playable,” says Marcus Dyson, a former Amiga Format editor, who later went on to work at Team17 and co-wrote Tower Assault’s story. Among several new features, the ability to walk backwards and fire, called ‘retreat mode’, made a huge difference to Alien Breed’s run & gun gameplay, while the CD version of the game also came with a live action FMV intro sequence featuring some very impressive, for the time, 3D rendered space battles. A Team17 staff member gets his five minutes of fame, at a cost, during the Tower Assault intro shoot. On that note, let’s conclude this look back at 1994. In the next instalment, we think we’ll cover… 1995! Discover Alien Breed taking the leap into 3D, more sports, more racing and a fairly successful game called Worms! Don’t forget to read up on 1991/92 & 1993 and tell us your favourite Team17 game on Twitter using the hashtag #100Team17!